With the official emergence of North Korean 3rd generation power succession system at the end of last year, the attention has been put on who will come into Pyongyang key power. On Jan. 23, according to a well-informed source, the center force of Kim Jong-un now goes by the name of ‘Mt. Ami range’. Around Mt. Ami, furthermore, with Kim Jong-un’s No. 55 residence as the center, there are Presidential Security Command 1, 2 in the South, National Security Agency in the Southwest, People’s Safety Agency in the Northwest, and Defense Security Ministry in the East. In this way, such North Korean key security bodies which will control the public with an iron fist in order to stabilize the 3rd generation succession of power are concentrated near Mt. Ami. “The executives of the bodies in their 40s~50s under the rule of Kim Jong-un are called as ‘Mt. Ami range’ said the source. Kim Jong-un also reportedly turned out to take over Kim Jong-il’s army, mostly a young group. For this reason, some of the junior members publicly said “Mt. Ryongnam is already worn off and the tide has turned in our Mt. Ami favor.” mentioned the source. There was a similar situation in the past. It is common knowledge in North Korea that Kim Il-sung accomplished a one-man rule after the 8.15 liberation, based on some 100 persons of the 6th division, 2nd Army of North East Anti Japanese United Army, so-called ‘Mt. Baekdu range’. Besides, Kim Jong-il had political base called ‘Mt. Ryongnam range’. 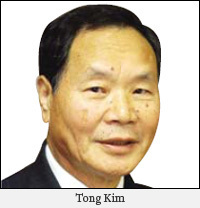 It refers to a few people he met at Kim Il-sung University during 1960~1963. 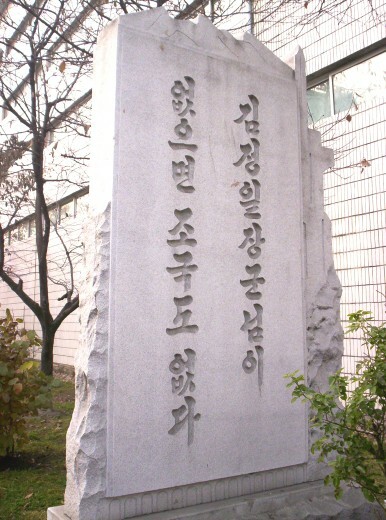 More specifically, the then secretaries of party cells(the primary party organization) of each department and major of the campus, and chairmans or members of Chosun Democratic Youth Alliance (CDYA) were included, with who Kim Jong-il had a relationship as the chairman of Kim Il-sung Univ. CDYA. These people very close to Kim Jong-il, so important members of the North’s power enough to be received kindly treated by Personnel Department of Central Committee of the party, were involved in wide range of activities. However, the Mt. Ryongnam range is recently doomed to going downhill as Kim Jong-un has become the new center force of the North Korea, said the source. Meanwhile, the graduates of ‘Red Flag Mangyondae Revolutionary School’, where the families of revolutionary patriots usually go, were also classified as Kim Jong-il’s mainstream members. However, only a few of them moved up the position of core figures in Army and most of them were eradicated as Kim Jong-il seized the supreme power by reason that they didn’t directly belong to Kim Il-sung’s troop but to other anti-Japanese united armies. It needs to follow closely what role this ‘Mt. Ami range’ of Kim Jong-un era will play in the future. After two months, an exhibition in Moscow of North Korean graphics, mosaics and embroidery is coming to a close. Oddly entitled “And Water Flows Beneath the Ice”, the exhibition was a major project initiated and hosted by Russian entrepreneurs at the trendy Winzavod Gallery, a revamped wine factory in central-eastern Moscow. All the pictures came from the Mansudae Art Studio in Pyongyang, a government-run enterprise that employs more than 1,000 artists to create art for export. The late (and eternal) North Korean president, Kim Il-sung, is known to have once said, “Abstraction in art is death,” leaving no choice for North Korean artists but to embrace socialist realism as their method. Russians, who still remember when this artistic trend was the only one permitted by the Communist Party, were given a chance to refresh their memory exactly 20 years after the collapse of the Soviet Union. It is no surprise that many felt a sense of familiarity and at times nostalgia for while visiting the unusual exhibition. During a short trip to Moscow last month, I met with colleagues, Russian scholars and researchers of Korean studies at the exhibition. They came along with their students, and we had a lively discussion about the hidden messages and artistic value of each picture. It was good to share opinions on a contentious topic such as North Korean art, and our feeling converged on many things regarding the commonalities and differences between North Korean and Soviet propaganda art. First of all, socialist realism in art is a misnomer, since it depicts life as it should be, not as it really is. For instance, in this exhibition, there was an image of chubby children in Pyongyang Zoo feeding monkeys with ice-cream. The abundance of rice, vegetables and rabbits on show in other pictures also seemed a disservice to aid agencies diligently dispatching food and other humanitarian relief to starving North Koreans. In the artwork, life in the Democratic People’s Republic of Korea was consistently depicted as affluent and pleasant. In fact, North Korea is a revolutionary state, struggling to achieve economic success and advance its military power. This can be viewed and sensed through the canvases dedicated to the heroism of builders working on the Taegyedo Tide-land Reclamation Project or soldiers engaged in constructing the Huicheon Dam. Heroism at war and in peaceful reconstruction is venerated and equated to the revolutionary course of Juche (national self-reliance) and Songun (military-first) politics. Thus, every picture, embroidery and poster carries a condensed revolutionary message that must convince the viewer that the people of North Korea are determined and invincible. Some may call it propaganda, but in North Korea this genre is known as Chosunhwa (Korean painting). In fact, there is very little of Korean tradition in Chosunhwa. Although most pictures are created with watercolors and ink, the characters, actions and settings are Stalinist Soviet or Maoist Chinese. Even where the North Korean artists try to be experimental and use such materials as gouache or mosaic, the results resemble the typical posters and murals once omnipresent in the streets of Moscow and Beijing. Only the embroidery works were genuinely traditional, and most viewers were stunned by their elaborate composition and vibrant range of colors. After discussing the merit of each exhibit, my expert friends and I agreed that totalitarian societies do produce impressive pieces of art, which inspire awe and overwhelm the target audience. While the value of such art is transient and more akin to propaganda, the technical side of it is so unquestionably powerful that it deserves recognition and research, if not admiration. Unfortunately for the North Korean artists and Mansudae Art Studio entrepreneurs, the value of this art is restricted by the willingness of the purchaser to help the Juche and Songun revolution. Otherwise, mainstream North Korean art, which is dutifully devoid of abstraction, has very limited export value. That explains the usual commercial difficulties encountered by the North Korean art exhibitions brought overseas by the North Korean Committee for Cultural Relations with Foreign Countries. Among the rare buyers of the socialist kitsch are maverick revolutionary zealots and some rich sympathizers from South Korea. In Russia and China, former communist patrons of North Korea, the appetite for hackneyed images and themes is dwindling. What leaves the strongest impression from “The Water Flows Beneath the Ice” is not the contrived propaganda on the walls but the artistic installation placed in the middle of the gallery. 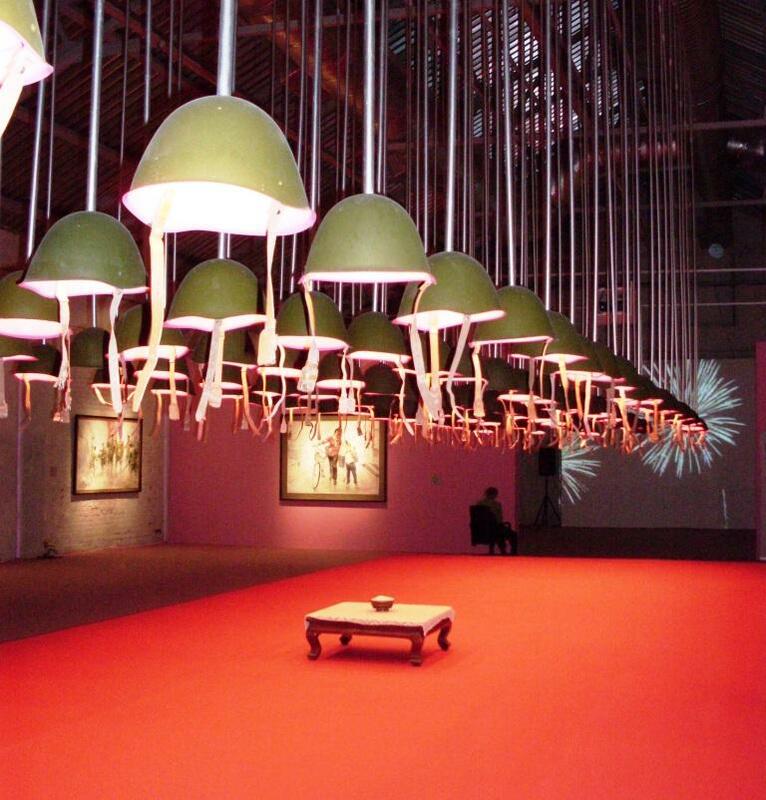 Dozens of green combat helmets hanging from the ceiling form perfect lampshades over the scarlet-red carpet hosting a lonely short-legged Korean traditional table. A bowl of white rice on the table symbolises the prosperity that Songun was designed to create and protect. The soft pink light gleaming from each helmet resembles the cherished hope of the Korean people for peace, love and harmony. The bouquets of colourful firework shots projected on the screen at the end of the gallery hall surmount the composition and instil a sense of triumphant fulfilment. The aim is seemingly to capture the unbending spirit of Koreans (in both the North and South), as well as their hard-working and peace-loving character. Overall, “The Water Flows Beneath the Ice” was a bright and memorable phenomenon for the cultural life of the Russian capital. Neither the awkwardness of the premises (conditions in the old liquor factory demanded that all visitors wore clumsy overshoes) nor the overpriced pamphlet (more than US$30) spoiled the positive and inspiring atmosphere. Although it is commercially and morally questionable as well as kitsch, the unusual initiative has awakened in hardened Russian art-lovers a long-lost belief in fairness and altruism: ideals that are highly valued by Koreans. It is far more comforting to talk about talks than to discuss the dangers of war on the Korean Peninsula. Last year was full of tensions and confrontations between the North and South, which culminated in the sinking of the Cheonan ship by an alleged North Korean torpedo, an exchange of artillery fire over Yeonpyeong Island and an ensuing escalation of readiness for war. The beginning of this year brings a new momentum for resuming talks with North Korea. Talks, if held, will be about avoiding provocations, keeping peace and stability, improving inter-Korean relations, and ultimately dismantling North Korea’s nuclear programs. We don’t know whether this rare momentum will be harnessed for a breakthrough, or if it will be left to wither away. However, this momentum did not come out of the blue. Perhaps the tipping point from tension to talks was reached when the North chose not to fire back—contrary to its dire warnings of a nuclear war—in response to the December 20th live fire drills by South Korean forces. The South had nonetheless continued its intense military exercises to demonstrate its ability to retaliate against future provocations by the North. These drills caused concerns in Beijing and Washington that the South might be foolhardy in militarily confronting the unpredictable North. A crack in Seoul’s posture appeared when President Lee Myung-bak made conflicting comments on North Korea during his year-end reports to the Ministries of Unification and Foreign Affairs. At this point Lee may have concluded that he had adequately addressed public calls for a stronger posture against North Korean provocation, but realized that resolute security alone would not be enough to resolve the North Korean issue. Conservative skeptics and supporters of the Lee government want to discard the latest North Korean overtures as a typical peace offensive that follows provocative brinksmanship. They warn that the latest North Korean offer of unconditional talks is a calculated strategy that intends: (1) to portray the South as the party causing instability; (2) to drive a wedge between the South and the United States; (3) to exacerbate internal bickering in the South; (4) to extricate itself from the condemnation for its provocations; and possibly (5) to move on with its domestic agenda for the completion of succession and for the 100th birthday of its founder Kim Il Song in 2012,(which would be difficult if not impossible to achieve without improved relations with the South and economic assistance from the South). The skeptics do not completely rule out the utility of dialogue. Nevertheless, they do not believe Seoul should respond to Pyongyang’s call, unless Pyongyang apologizes for the sinking of the Cheonan ship and the Yeonpyeong Island incident. In their view, North Korea should be punished, not rewarded with talks and assistance for its bad behavior. Yet, some of them argue that the Lee government must carry out a skillfully balanced, reenergized two-track policy of confrontation and dialogue. …It is understandable that Washington does not want to undermine its strategic relations with its allies in South Korea and Japan over the issue of North Korean nuclear programs. Washington does not seem to have decided whether to keep or change its ineffective policy of waiting or “strategic patience.” The countries in the region do not wish to see a revival of the old Cold War divide between the camp of the United States and its two major allies and the opposing camp of China and North Korea, joined by Russia. There are several bilateral issues between these countries, which complicate the multilateral task of dealing with North Korea. The issue of North Korea imposes a common challenge for the six parties concerned. Inter-Korean cooperation remains a prerequisite to any successful negotiation. In this context, the Obama administration should seriously consider some measures to nudge the Seoul government towards dialogue with the North. China appears to have done its part on North Korea. Dialogue with the North Koreans is not an award for their bad behavior. And anyway, it is better to talk about talks than to talk about war on the Korean Peninsula.